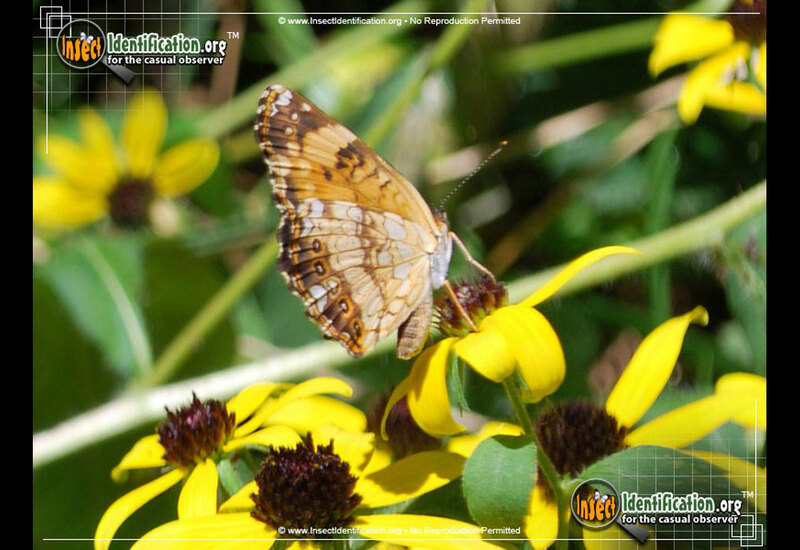 Detailing the physical features, habits, territorial reach and other identifying qualities of the Silvery Checkerspot Butterfly. 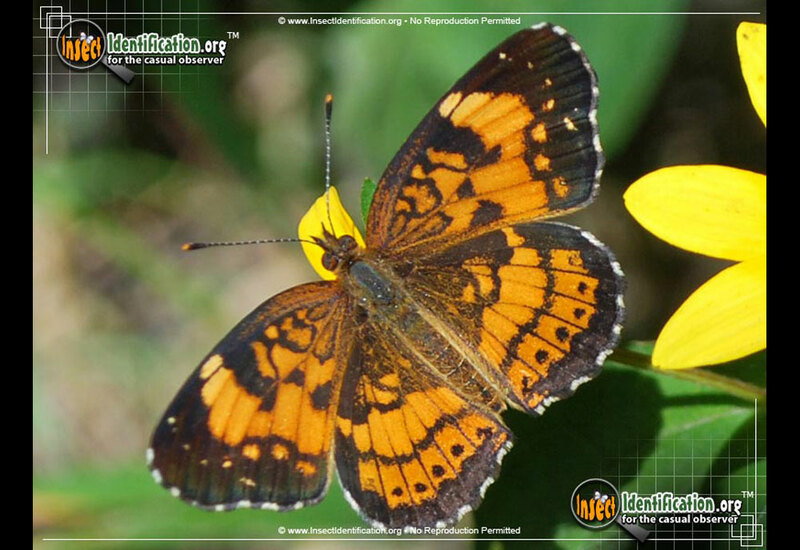 The fast flying Silvery Checkerspot is a cheery summertime visitor with a preference for sunny flowers. 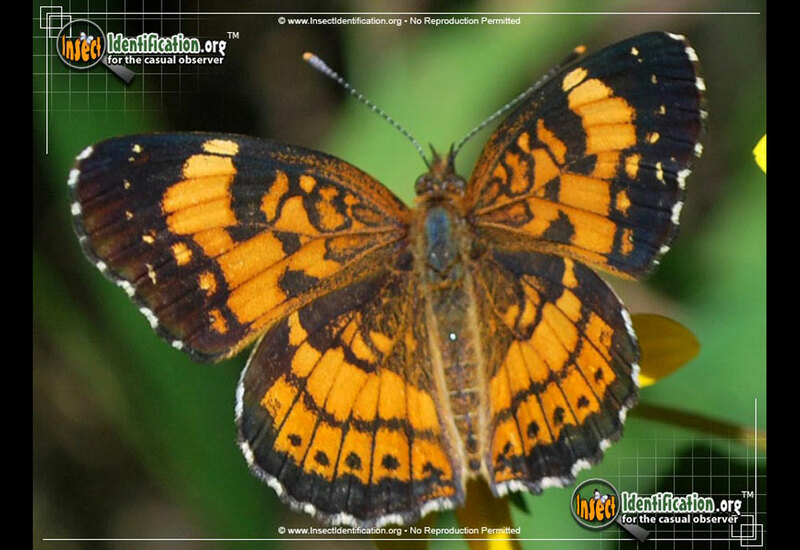 The medium-sized Silvery Checkerspot Butterfly has orange/black/white coloration seen in many Crescent butterflies. As a Checkerspot, however, a row of small black and white dots line the edges of its orange wings. This Brush-footed Butterfly has a short pair of front legs and longer back legs. This sometimes causes the butterfly to stand with its head lower than its abdomen when resting, and gives the appearance of having only four legs instead of six. 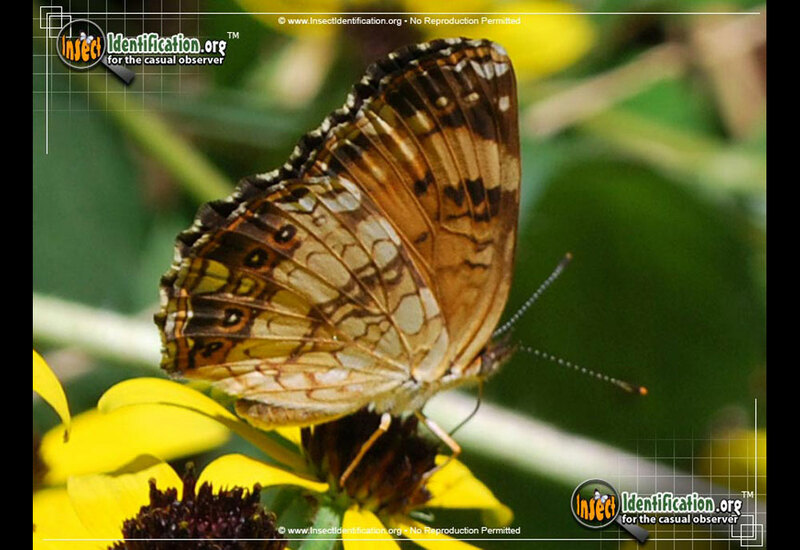 Silvery Checkerspots are usually found on their larval food plant, the Black-eyed Susan. They rest with their wings closed up, showing a lighter coloration on the bottom of their wings. They fly quickly and usually in a straight path to their next resting place. Look for them at waist level as they tend to fly lower to the ground than other butterflies. Adults are very active from spring to autumn. They can be found in meadows, fields, nature trails, gardens and woodlands. The larval caterpillar is black with orange stripes across the body and purple and white spots along it. The body is covered with spiky spines. They can be found eating the leaves of Black-eyed Susans (their favorite) as well as asters, daisies and goldenrods. Usually one generation is produced each year, but in warmer climates, two or three generations are possible.